A Frenchman who has spent the last 40 years in western Brazil, Michel Leplus tells World Rugby why he chose to focus on women's rugby in an area of his adopted country that isn't a traditional stronghold of the sport. 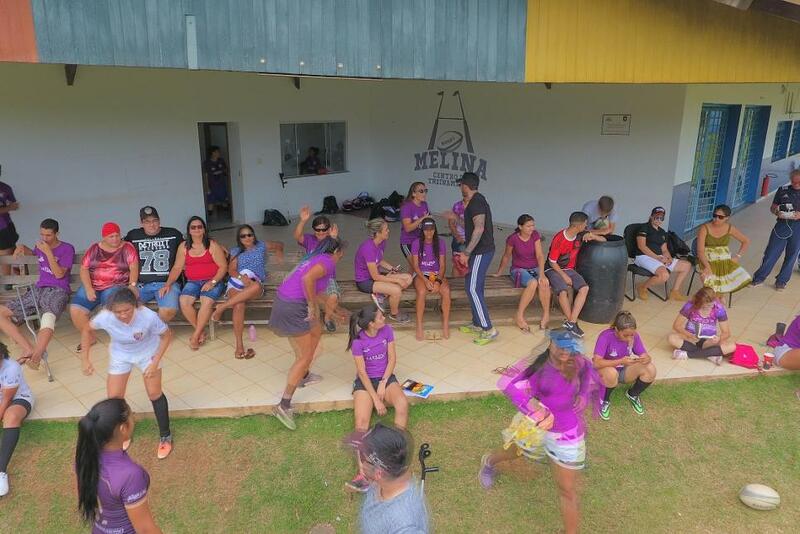 Cuiaba, a sweltering tropical city in Brazil’s western region, might not seem the most likely home for a women’s rugby club but it is here that Michel Leplus has started a quiet revolution. Frenchman Leplus first visited Brazil in 1975 on holiday. Two years later he returned for good with brother Alain and in 1982 the siblings were attracted to the state of Mato Grosso, which borders Bolivia, due to its agribusiness boom. Michel and Alain set up a farm, named Fazenda Mélina after the aunt who raised them in France was rebuilt in the aftermath of World War II. Initially cattle ranchers, the brothers moved into grape juice production at the turn of the century. Alain had been an excellent rugby player in his homeland, turning out for Auch, and having emigrated to Brazil both he and Michel – who served as President of Cuiaba Rugby Club between 2009 and 2016 – remained involved with the sport. So when, in 2016, Alain’s health began to falter as he battled Alzheimer’s disease, his brother decided to honour him through the game he loved the most. Mélina Rugby Club was born. Inscribed beneath the club’s badge on its playing and training kit is Alain’s name, and although his brother is not well enough to take an active role, Michel is sure he is aware of the gesture. According to Michel, setting up Mélina was “much easier” than his work with Cuiaba. He had decided to step into women’s rugby because he felt it had been neglected in Brazil, and believed the team would be more likely to prosper. “I always found it easier to work with women,” he said. “When they have a goal, they go all the way to succeed. He was able to put into practice some of the lessons he had learned as a president of a men’s club. Frustrated at the lack of time Cuiaba’s squad was able to spend on the pitch as they juggled other commitments, he endeavoured to make sure that rugby was the only thing his female players had to worry about. To this end, a training facility was built that includes housing for the women, who also receive a small stipend. At present, 12 players and two coaches live at the academy, while those attracted to the club include former Venezuelan internationals. “When I decided to start the women's rugby team in 2017, the first idea that I had was that it was not possible to set up a competitive club if the structure does not support,” Michel said. “It was useless to have good players if we had no good structures. So, I had the chance to find this training centre and to be able to welcome the girls who came to play for Mélina by offering them a rugby pitch of very good conditions, housing of very good qualities, a very complete academy. That objective is refined and updated at the start of every year, when Michel meets with the squad to discuss what can be achieved. Twelve months ago, the club targeted a top-six finish on Brasil Rugby’s Women’s Super Sevens circuit. This year, Michel is hopeful the team can climb into the top four. On-pitch performance is not his only measure of success, however, and although the senior team remains reserved for women, he takes great pride in the club’s youth programme – which is open to both boys and girls. At present around 90 children, aged between five and 18 years old, are enrolled and receive tips from the club’s senior players. “The thing that I'm most proud of today as president of Mélina Rugby Club is the realisation of our school of infant and junior rugby,” Michel said. “We took a lot of years to put it in place.